This site and all of it's pages contain affiliate links that I may be compensated for. I created this hat for my four little grandson's. Summer's in Maine are filled with black flies and mosquitos. 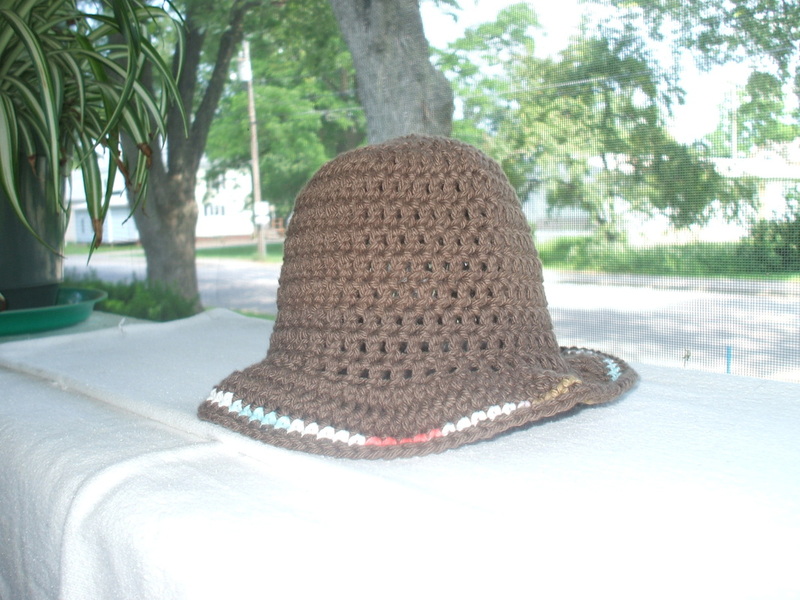 This little hat will keep the sun and bugs of your little's head, ears and neck. Made of 100% cotton; it is cool, comfortable and easy to care for. As with my other pattern's this is FREE pattern for you!! Fasten off weave in ends with tapestry needle.